The Union government has extended the soft loan window for beleaguered sugar sector by another four weeks. The move is likely to ease some pressure on mills baulked down by stiff and piling arrears. Under the fresh notification issued by the union department of food and public distribution, the banks could consider the soft loan application of sugar mills that would have cleared by March 26 at least 25 per cent of sugarcane payables as on February 28. Their payables would be computed on the basis of the centrally announced Fair and Remunerative Price (FRP) of sugarcane, which stands at Rs 275 a quintal for the current 2018-19 crushing season and not on the State Advised Price (SAP), which is announced separately by some states, such as Uttar Pradesh to further remunerate their farmers. In the current season, the SAP of sugarcane in UP, India’s top sugar producer, for the common variety stands at Rs 315 a quintal. 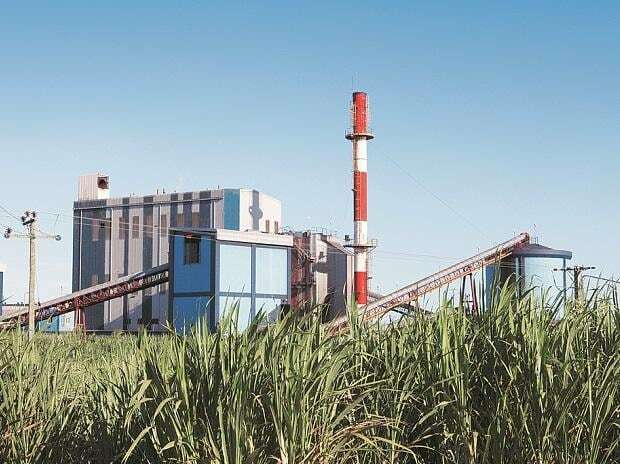 According to estimates, the total outstanding of the domestic sugar mills at the end of February 2019 stood at around Rs 22,000 crore, including Rs 10,000 odd crore in UP. Over the past few weeks, the payments percentage of the sugar mills has however further dipped owing to higher sugar production, muted demand and flat prices. Currently, the arrears of UP have further increased to about Rs 12,000 crore (on SAP basis), while pan India outstanding are estimated at more than Rs 24,000 crore. “The pressure of payment to farmers is leading to distress selling by mills, which is further pulling down effective ex-factory sugar prices, thus worsening the payments ratio over the successive weeks,” a senior executive with a leading sugar producing company in UP told Business Standard on condition of anonymity. Meanwhile, he claimed the UP government was unwilling to provide the state guarantee to bankers for extending the central sponsored soft loans to the state private sugar mills, who are clubbed under non-performing assets (NPA) heads. “Under the notification, the centre has asked the respective states to give the guarantee to the bankers with regards to the NPA account holders. However, the UP government is not ready to extend this facility, which would render the soft loan scheme unavailable to the needy and small millers,” he claimed adding big sugar mills, who already enjoyed liberal cash credit limit (CCL) with their bankers would avail of the facility anyhow. Under the scheme, once the loan has been sanctioned and formalities for disbursal are completed, the bank would obtain from the respective mills, the list of farmers along with their bank account details etc and the extent of cane dues to be paid, computed on the FRP basis. Thereafter, the banks would directly remit funds allocated into the accounts of farmers on behalf of the sugar mill, while any balance would be credited to the respective mills’ account. Last year, the Yogi Adityanath government had also announced a similar soft loan scheme worth Rs. 4,000 crore to help the state private millers tide over payments situation after banks had put the domestic sugar sector in the negative list owing to subdued market outlook due to glut and low retail prices. Soft loan was to be provided to mills whose payment ratio stood at more than 30% during the previous crushing season 2017-18. Under the scheme, the eligible state mills had received sanctions for soft loans worth more than Rs 2,900 crore. Meanwhile, pan India in this season, a total of 527 sugar mills had produced more than 27 million tonnes (MT) March 15, while 154 mills had stopped their crushing operations. Mills in Maharashtra and Karnataka are closing fast and their crushing season is on the verge of closing. While, the mills in Maharashtra accounted for sugar output of over 10 MT, the state of UP had clocked 84 MT of the sweetener so far, followed by Karnataka mills with 42 MT.